The two-day vote for the European elections in the Czech Republic ended yesterday (24 May) with a record low turnout, lower than 20%. According to pre-election surveys, the winners will probably be the parties represented in parliament. The results will be released late at night. EURACTIV Czech Republic reports. The European Parliament elections in the Czech Republic were held over two days. The Czechs started to choose their 21 MEPs on Friday afternoon and the polling stations closed at 2 p.m. on Saturday. After two hours, the election commissioners were prepared to give information about the turnout, which is lower than 20%. In 2009 it was 28.2%. 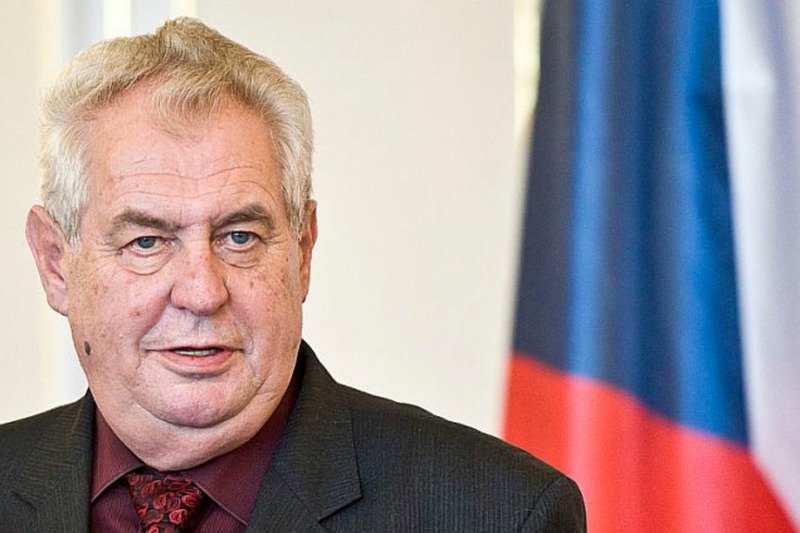 Czech president Miloš Zeman, who cast his vote on Friday, is persuaded that Czechs are not very interested in the EU and its integration. “[People] are not much serious about the EU and they mistakenly believe that it does not concern them. However, up to 80% of laws that are passed in this country come from the EU,” Zeman said. The figure of 80% of national legislation resulting from EU law-making is also used by Eurosceptics in the UK but it is reportedly far from accurate. Initially, the European Parliament elections were supposed to be held at the same time as the Czech parliament elections. The intention failed after the fall of Petr Ne?as’ government and the subsequent dissolution of parliament for early elections. People went to vote in October 2013 and in January a coalition government was formed and the leader of the social-democratic party ?SSD, Bohuslav Sobotka, became prime minister [read more]. Another politician who attracted the attention of the media during the elections was the former president Václav Klaus, a well-known Eurosceptic. “I must say this may have been for the first time since the fall of communism 25 years ago that I was hesitating very strongly about whether to go to the polls,” Klaus said, confessing that he had not read any parties’ manifestos. In his opinion, low turnout in the Czech Republic is evidence that people realise that the attempt to centralise and artificially manage Europe from one place is a mistake. According to the survey conducted by Czech television, published yesterday, almost half of respondents, some 1,200 citizens, think the EP elections are not necessary. As the European elections are held in most EU countries on Sunday, the results in the Czech Republic will be released late at night. Some pre-election surveys say that the parties in parliament have the biggest chance of securing mandates in the European Parliament. The favourite is The ANO movement of Finance Minister Andrej Babiš, followed by the Social Democrats (?SSD), Communist Party of Bohemia and Moravia (KS?M), TOP 09 (centre-right) and Civic Democrats (ODS, centre-right). ANO, based on the former movement ‘Action of dissatisfied citizens’, is liberal politically. Shortly after the last polling station closed, the daily MF Dnes published the results of its own survey. Its reporters interviewed around 1,000 people just after they cast they vote. It showed a narrow victory for TOP 09, followed by ?SSD and ANO. TOP 09, meaning “Tradition Responsibility Prosperity”, is a conservative party led by the former foreign minister Karel Schwarzenberg. Now it has chosen as its leader a former board member of the Czech National Bank, Lud?k Niedermayer. The lead candidate of Social Democrats is sociologist Jan Keller and the ANO party’s list is led by the former European commissioner Pavel Teli?ka. MEP Jan Zahradil heads the list of the Civic Democrats, the MP Kate?ina Kone?ná the Communists and Roman Škrabánek is the lead choice for Úsvit (Dawn of Direct Democracy).